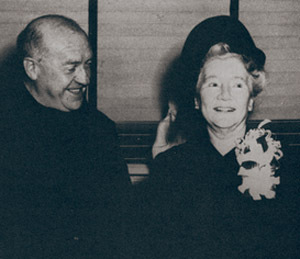 Particularly the work of Justine Ward, a wealthy benefactress to the Church, who had organized the 1920 International Congress on Gregorian Chant at St Patrick’s Cathedral in New York. The really revolutionary element of Divini Cultus, however, is that female singers of the liturgical texts were promoted by Pope Pius XI himself. As we have seen with his blessing of Justine Ward’s work, he had already approved girl choristers, even though they had been banned by his predecessor. This not only means that females were also allowed to perform a liturgical function, but that choirs should be formed for their instruction in the Chant. It was a concession to the recalcitrant American Bishops. Predictably, it led to a divisive situation with Bishops everywhere taking the part of Pius XI against Pius X and leading the faithful to do likewise. 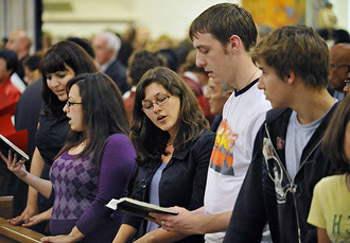 Everyone in the ambit of the Novus Ordo has by now accepted as something unassailably correct that silent participation in the liturgy is to be utterly eschewed. But that idea did not originate with Pope Pius X. "Catholics must participate actively in divine worship"
A disturbing feature of this remark is its emphasis on both externalism and intolerance. No one can claim with any certainty that it is only when the faithful sing that the Sacred Music promotes their participation. Nor can it be established that participation will be enhanced by raising the decibel level in the pews. Pope Pius X, for his part, had never made such claims. These words display a disregard for the crucial distinction between detachment and silence. Both are conflated in Divini Cultus and given equally negative publicity, an opprobrium that also attaches to Catholics who choose not to make their voices heard during Mass. Henceforth they will be fed to the liturgical lions to be harried, mocked, rebuked, cajoled, placed under suspicion, publicly denounced and sent on a guilt trip to make them sing/shout up during Mass. 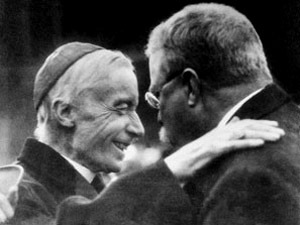 Pius XII followed, not Pius X, but Pius XI on the same revolutionary pathway, as we will see in the next article. At the Third Plenary Council of Baltimore (1884), they demanded that “the major part at least of the faithful will learn to chant with clergy and choir in the Vesper service and suchlike.” (Acta et Decreti Concilii Plenarii Baltimorensis, Baltimore, John Murphy and Co., 1886, no. 119). Pierre Combe, Justine Ward and Solesmes, The Catholic University of America Press, 1992, p. 5. Archbishop (later Cardinal) James Gibbons who presided over the Third Plenary Council of Baltimore, was an enthusiastic promoter of congregational singing and wrote extensively on its alleged benefits in The Ambassador of Christ, Baltimore, J. Murphy and Co., 1896, pp. 354-5. New York Times, 12 May 1904. Pius XI, Divini Cultus of December 20, 2918. L. Beauduin, Questions Liturgiques et Paroissiales, Abbey of Mont César, Louvain, 1922, pp. 50 and 52.